Are you a fan of Downton Abbey? 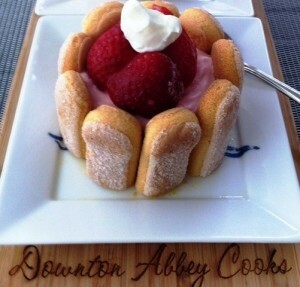 Pamela Foster has a blog called Downton Abbey Cooks She has offered a recipe for Strawberry Charlotte Rousse. (I don’t think it counts as a spoiler to say that this was featured in the last episode.) This would be the perfect dish to serve if you were hosting a viewing party.